Buffalo Wing Factory plans to integrate online ordering in their three other locations in Northern Virginia later this month. Waitbusters, LLC is excited to announce its first successful online ordering implementation with their Digital Diner software at the Buffalo Wing Factory in Ashburn, Virginia. 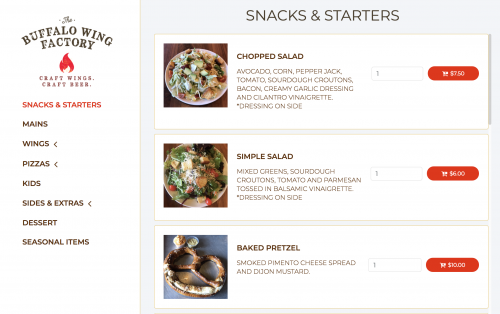 Buffalo Wing Factory went live with the online ordering integration in its Ashburn location this past week. The transition was seamless and has as predicted, been exactly what the longtime Northern Virginia establishment needed. With over 50,000 takeout orders made per year, they wanted a way to streamline operations in order to free up their front of house staff. The implementation included direct integration with the restaurant’s POSitouch POS.